While I know some have felt like January has been a long month, I actually feel that it's flown by. This month's focus was "RENEW" as I tried to reengage with the things that I love such as art and reading while also making time for blogging and also uni work. 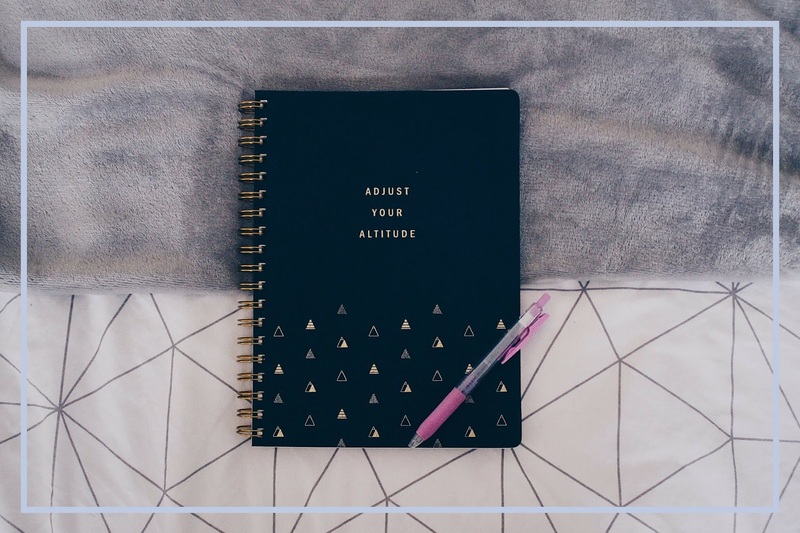 Today, I thought I'd share with you my thoughts on this month and whether or not I've managed to reach the goals I set myself. This month didn't exactly start off well. I was reluctant to return after Christmas to face exams. For the first time since first year, I didn't want to leave home and be back at uni. I was actually feeling rather more drained than renewed at the start of the month. This month didn't come without it's hiccups; there were days I still felt overwhelmed with the work I needed to finish and didn't always have time to do something I wanted to spend my free time doing. As I mentioned in my "LET"S TALK NEW YEAR" post, thinking about jobs and life after uni is a common topic of conversation amongst my friends and can get not just me, but many others down thinking about the uncertainty of what's to come after university. It was my 21st birthday just last week. I'm planning on writing a full post on my thoughts on turning 21 but what I will say now is I had one of the best birthday's I've had in a while. I was surrounded by friends that I felt wanted to be there rather than feeling obligated and was happy to see they enjoyed my birthday as much as I did. My parents also came to visit last weekend and, after my mum dropped me off and had to leave me in tears as I didn't want to come back this term, it was nice to spend some time with both her and my dad now that I was in a much happier mood. While they were only in York for the afternoon, it was nice to spend a few hours with them. Also, mum brought a fabulous cake down for me and my house to enjoy so that was a plus! I'd say one of my biggest (yet still small) accomplishments of this month was getting my blog back up and running. While not completely consistent, I have focussed on trying to publish as close to my old schedule as I can and posting what, I think, are unique and slightly different posts. With this, I've found myself more engaged on Twitter and I've been loving been back in the twitter world; interacting with people I follow and other bloggers; discovering some new blogs to follow. I think this month, I've really fallen back in love with blogging and all the little extras that come with it. I'd say my other accomplishment, which was more one for last year but I only recently managed to get my hands on a copy, was that an interview I did with Brit Awards Critic's Choice Winner Sam Fender back last year was published in the music magazine that we have on campus. I didn't expect the full article to be included so I was shocked to see it crossed over to two pages in the latest issue. While this may sound like January has been mainly negative, I've already had some good times and made the right steps to reaching some self-related goals. While not much, I've already made a dent in my reading challenge for the year and have found reading shorter books as a better way for me to get back into reading during busier periods. I've already got the books for next month lined up and ready to open. I've been planning a few art pieces for the first time in a long time and, while I'm worried about the outcome, I'm looking forward to making more progress in the next month. Writing. A hobby I love but constantly struggle with finding inspiration. I did what I always do when I hit this point and bought a new notebook; hoping that this fresh book will bring some fresh ideas. While only two pages have been filled so far, I'm hoping to keep reaching for it as we head into February. While I mentioned the daunting start of job hunting and working out what I want to do, while a clear plan is yet to be formed, I've started to explore a few options after speaking to some people. I'm slowly working towards really knowing what I want to do after university. So there's a round up of what I've been up to this month including the good and the bad among other updates. I've already thought about what I want to accomplish next month and to focus on other aspects of my life as well progressing on what I have done so far. I'll be posting my February Focus of the Month later this week so stay tuned! What are some of the positives and negatives of your January?